Psychological intervention - a critical element of rehabilitation in chronic pulmonary diseases. Chronic pulmonary diseases represent a segment of pathology with an increasing prevalence worldwide, this requiring joint efforts from specialists in this field to (a) identify those factors insufficiently explored so far, but critical for their evolution and (b) address them via new therapies. This study aims to explore the existing data regarding the psychological factors involved in the dynamics of chronic pulmonary diseases and the main possibilities of psychological intervention, as a distinct part of pulmonary rehabilitation (PR). 49 articles published on this topic in peer-reviewed journals between 1979 and 2010, indexed in PubMed, ProQuest and EBSCO databases, were examined for evidence. Among psychological factors considered important by study authors were the following: 1) the deficient instruction of the patient, 2) decreased treatment motivation, 3) a marginal social role, 4) a disadaptive cognitive style and 5) psychiatric comorbidity (especially anxiety and depression). Efficient interventions were, for physicians, 1) patient education and 2) designing a personalized self-management plan, and for the clinical psychologists, 1) cognitive-behavioral therapy, 2) biofeedback, 3) family therapy, 4) relaxation and 5) hypnosis. Despite the undeniable effect of these methods in selected cases, the high heterogeneity of designs and personal affiliations of researchers do not allow new generalizations about their efficacy or their routine implementation into PR. Further research including larger samples, more uniform designs, construction of consensual international standards regarding the objectives of PR, and assessments done by experts from multiple study domains could contribute to a better understanding of the role psychological interventions could play in PR. J Med Life. 2014 Jun 15;7(2):274-81. Epub 2014 Jun 25. Popa-Velea O(1), Purcarea VL(2). Author information: (1)Department of Medical Psychology, "Carol Davila" University of Medicine and Pharmacy, Bucharest. (2)Department of Healthcare Marketing, Technology and Medical Devices, Medical informatics and Biostatistics, "Carol Davila" University of Medicine and Pharmacy, Bucharest. Hypnosis in Spain (1888-1905): From spectacle to medical treatment of mediumship. Stud Hist Philos Biol Biomed Sci. 2014 Aug 7. pii: S1369-8486(14)00082-X. doi: 10.1016/j.shpsc.2014.07.002. Graus A. Author information: Centre d'Història de la Ciència (CEHIC), Universitat Autònoma de Barcelona, 08193, Bellaterra (Barcelona), Spain. Electronic address: andrea.graus@uab.cat. Contributions of medical hypnosis to DFO treatment. Hypnosis is making a comeback in all of the medical disciplines. But in a world where everyone wants to control everything and manage everything, it's helpful to know that hypnosis is a dynamic process that cannot be forced on anyone, a psychic reality, clearly demonstrated today by brain imaging. 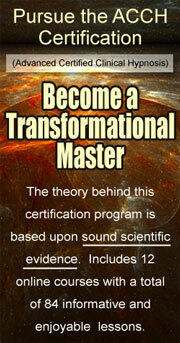 Hypnosis does not take any power over the individual. It is just one more tool to help ease patient's discomfort. It is also useful to avoid professional burnout to provide care without depleting our energy and without wasting our valuable time. 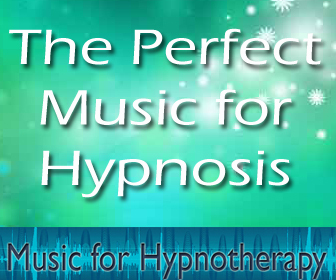 Medical hypnosis is a real asset for providing comfortable orthodontic treatment and creating a serene atmosphere. It can be done simply and rapidly to take high quality impressions, to place braces comfortably on a patient who is sitting quietly. Orthodontic treatment requires cooperation and motivation, so let's give our patients a new sense of confidence and a willingness to cooperate. © EDP Sciences, SFODF, 2014. Orthod Fr. 2014 Sep;85(3):287-97. doi: 10.1051/orthodfr/2014015. Epub 2014 Aug 28. Simonnet Garcia MH. Treatment of functional motor disorders. OPINION STATEMENT: For the treatment of functional motor disorder, we recommend a three-stage approach. Firstly, patients must be assessed and given an unambiguous diagnosis, with an explanation that helps them understand that they have a genuine disorder, with the potential for reversibility. A key ingredient is allowing the patients to describe all of their symptoms as well as their ideas about what may be wrong. The patient should clearly understand that the positive diagnosis is based on the presence of typical signs (e.g., Hoover's sign for paralysis, entrainment test for tremor) that, in and of themselves, indicate the potential for reversibility. We suggest an approach that avoids the assumption that psychological stressors in the patient's life are causing the symptoms. The symptoms themselves are often the main stressor. Insisting that there must be others often leads to a frustrated doctor and an angry patient. Rather, at this initial stage, we encourage exploration of mechanisms - e.g., triggering of symptoms by pain, injury, or dissociation - and a discussion of how symptoms manifest as "abnormal motor programs" in the nervous system.Secondly, further time spent exploring the diagnosis, treating comorbidity, and, in the context of a multidisciplinary team, experimenting with altered movements and behaviors may benefit some patients, without the need for more complex intervention.Thirdly, some patients do require more complex treatment, often with a combination of physical rehabilitation and psychological treatments. Hypnosis, sedation, and transcranial magnetic stimulation may have a role in select patients.Finally, although they have confidence in the diagnosis, many patients do not respond to treatment. Ultimately, however, patients with functional motor disorder may have much greater potential for recovery than health professionals often consider. Curr Treat Options Neurol. 2014 Apr;16(4):286. doi: 10.1007/s11940-014-0286-5. Gelauff JM(1), Dreissen YE, Tijssen MA, Stone J. Author information: (1)Department of Neurology, University Medical Centre Groningen, University of Groningen, Groningen, Netherlands. An hypnotic suggestion: review of hypnosis for clinical emergency care. BACKGROUND: Hypnosis has been used in medicine for nearly 250 years. Yet, emergency clinicians rarely use it in emergency departments or prehospital settings. OBJECTIVE: This review describes hypnosis, its historical use in medicine, several neurophysiologic studies of the procedure, its uses and potential uses in emergency care, and a simple technique for inducing hypnosis. It also discusses reasons why the technique has not been widely adopted, and suggests methods of increasing its use in emergency care, including some potential research areas. DISCUSSION: A limited number of clinical studies and case reports suggest that hypnosis may be effective in a wide variety of conditions applicable to emergency medical care. These include providing analgesia for existing pain (e.g., fractures, burns, and lacerations), providing analgesia and sedation for painful procedures (e.g., needle sticks, laceration repair, and fracture and joint reductions), reducing acute anxiety, increasing children's cooperation for procedures, facilitating the diagnosis and treatment of acute psychiatric conditions, and providing analgesia and anxiolysis for obstetric/gynecologic problems. CONCLUSIONS: Although it is safe, fast, and cost-effective, emergency clinicians rarely use hypnosis. This is due, in part, to the myths surrounding hypnosis and its association with alternative-complementary medicine. Genuine barriers to its increased clinical use include a lack of assured effectiveness and a lack of training and training requirements. Based on the results of further research, hypnosis could become a powerful and safe nonpharmacologic addition to the emergency clinician's armamentarium, with the potential to enhance patient care in emergency medicine, prehospital care, and remote medical settings. J Emerg Med. 2014 Apr;46(4):588-96. doi: 10.1016/j.jemermed.2013.09.024. Iserson KV. Author information: Department of Emergency Medicine, The University of Arizona, Tucson, Arizona.